With the one big exception being smartphones, technology tends to get smaller and smaller. This is generally a good thing; the smaller something is, the more of it you can fit in, making it better at whatever it needs to do. One area where this is drastically evident is in car gadgets, where smaller things on our dashboard make for a clearer and safer view out of the windscreen. We've been playing around with one teeny tiny powerhouse of tech; one that will help to keep you and your family safer while on the road. We review the Mio MiVue 658 WiFi Dashcam. 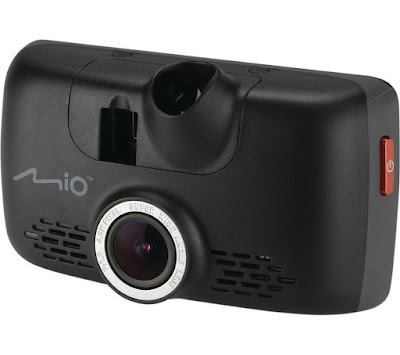 The last dashcam from Mio we reviewed, the MiVue 538, was a very impressive piece of kit. Almost a year on Mio have stripped much of the cam's bulky plastic body away, upgraded many of the specifications, and – as the name suggests – stuck in WiFi connectivity. However, the most striking thing about the MiVue 658 WiFi Dashcam is how small Mio have managed to get it, being not much wider than its own 2.7 inch touchscreen display. Once installed on your windscreen using the included suction-cup mount (ours has been up for two weeks straight and has yet to fall – a good sign, that), the Mio MiVue 658 WiFi Dashcam will automatically start to record as soon as you turn the key to start the engine. 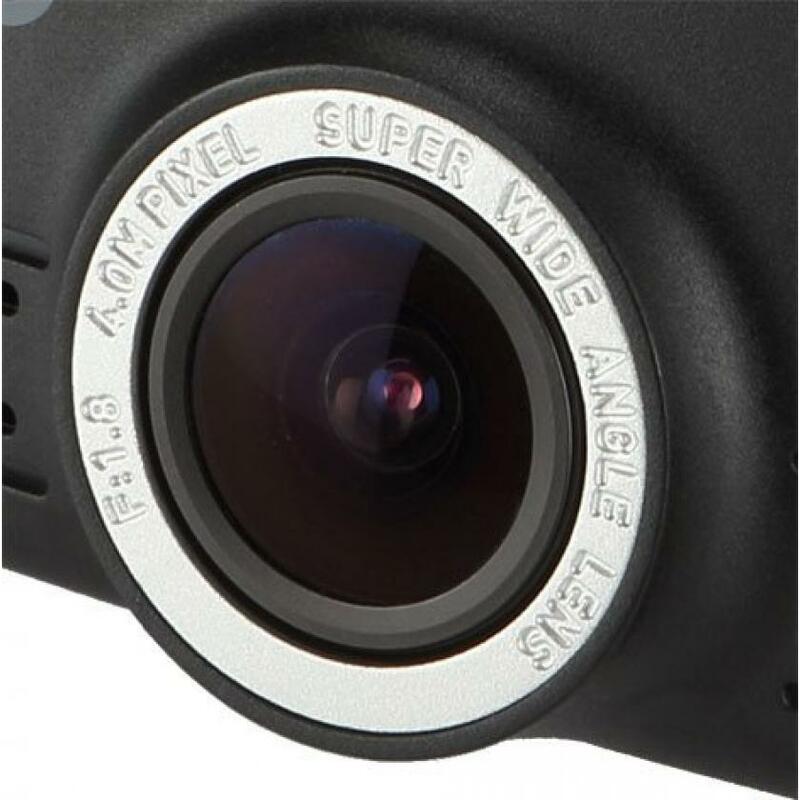 What makes this cam stand out from its predecessors, and also several of it s competitors, is that it records the HD footage in the H.264 file format, meaning you can fit a lot more high quality footage onto a Micro SD Card. Speaking of which, you'll need one as the MiVue 658 does not naturally ship with one. Also impressive is the camera's business end, possessing a F1.8 lens with a 140 degree field of view. Mount this behind your rear view mirror and even things that happen toward the sides of you car will be captured. Another great photographic ability of the MiVue 658 is that it can be taken from the windscreen mount and used as a stills camera, just in case you need to take photos of any damage that might have been caused to you vehicle. But the real improvement over other dashcams that we have tested in the past, is the presence of WiFi. 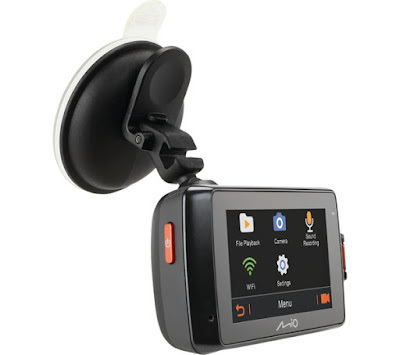 The Mio MiVue 658 WiFi Dashcam can connect wirelessly to your phone or tablet, allowing you to instantly copy over stored footage. Not only is this a great way to view the video and stills on a larger screen, it can also be used to quickly save crucial data; making sure to preserve evidence that the police or your insurance company might request. On a lighter note, having WiFi built-in also lets you immediately share footage to social media and to your email – just in case you filmed something really funny and want to send it to Fail Army. Which is basically what everyone in Russia does. Other than that, a real stand-out feature is one offered directly from Mio. With the MiVue 658 WiFi Dashcam you'll get lifelong speed camera updates, where each month Mio update their database of where the speed trap cameras are, enabling the dashcam to give you prior warning. This is a great added extra, as normally this kind of data would only be give via a paid-for subscription from one of the SatNav manufacturers. And it will certainly know where you are in relation to those cameras, as the MiVue 658 features onboard GPS tracking, as well as a three-axis G-sensor. This is a great dashcam that provides not only pristine video and tonnes of useful extra features, but also does all that in a minuscule and discreet body. This truly is something you can buy, install, then forget about, confident that it will be there for you when you need it.